Welcome to Day 3 of the 12 Days of Holiday Inspiration Blog Event brought to you by "The Inspiration Crew". We’re a group of online crafty blog friends who love being creative. This time we're doing a 12-day event to provide you with tons of Holiday Inspiration. I love the drama and artsy feeling of this black and white card. I used a Stampin' Up image, coloured with a green copic and then I added a tiny red die-cut circle (from a starburst die). I smeared Stickles around the edge of the panel and that results in a lifted-edge which adds a bit of interest. 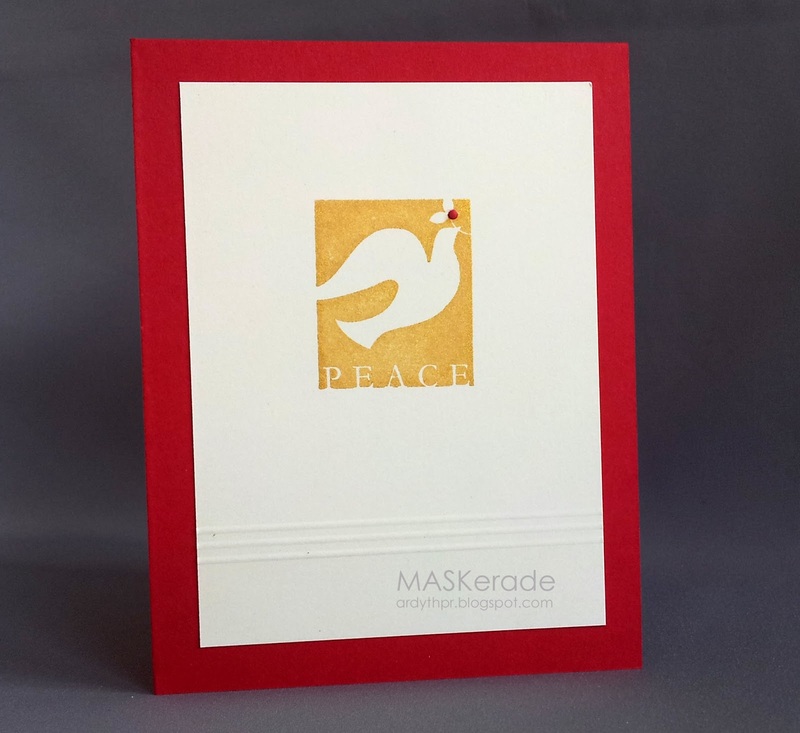 I remade the card for my Church Christmas Card project using a different colour scheme. The red and gold is more traditionally Christmas and very warm. Here are all the crafty ladies participating in this event. Be sure to visit all the blogs each day for loads of fun Holiday craft ideas. Stunning card, can't decide which one I like best but think I would go with the black as I do like a touch of drama!! love these. the top card is one of my all time faves! Both cards are eye-catching! I like the stark contrast of the first one. I'm with Sandie...absolutely stunning. I love the drama of the black and white and the subtly inked edges of the paper. Each card is gorgeous in its own way... love the black, but the lines on the second remind me of pin-tucking - just fantastic, Ardyth! Such pretty cards - love the CAS look. Lovely cards - especially love the top one!! So pretty! Love the colors on the top one!! 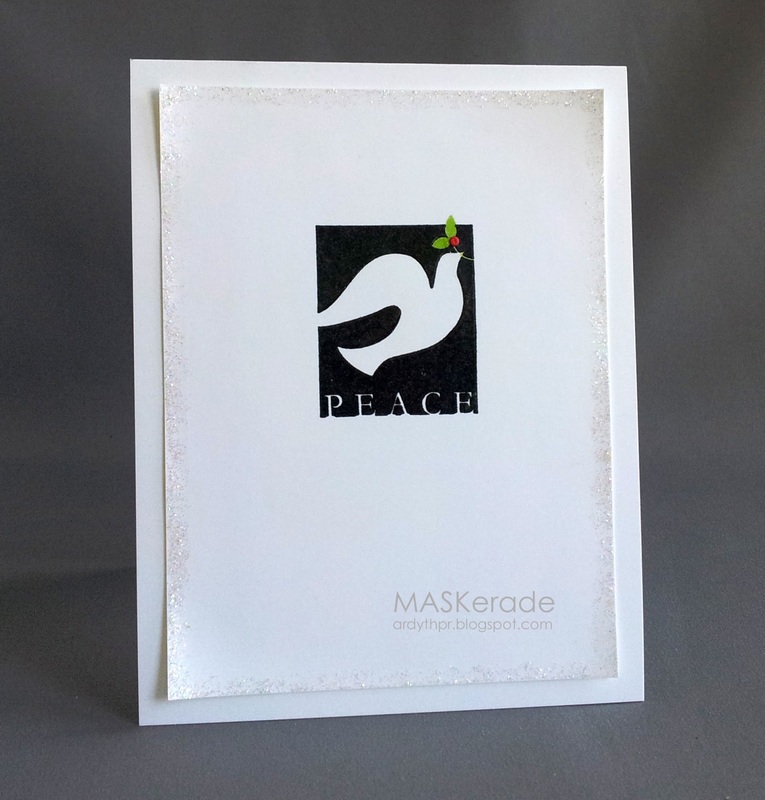 Fabulous cards and I just love the boldness of the black stamping and the touch of colour. So pretty. Love the trim on the top one too. Both cards/color combos are stunning! I'm really loving the sparkled edge and the wee pops of color in the B & W card! Looks great in both color schemes.